We’re into a cooler spell right now, and frankly, it was quite pleasant to be at the lake today at 61 degrees Fahrenheit. It sure is a welcome change from the sweltering heat. 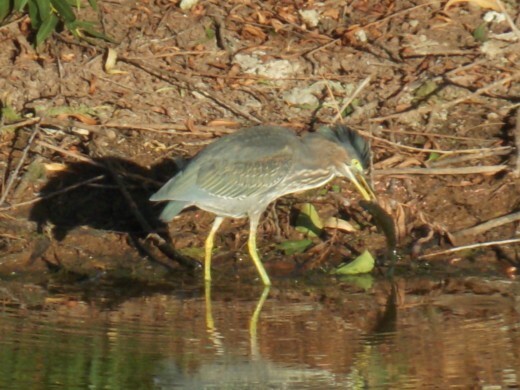 Green Heron was out fishing this morning in the sheltered southern inlet and caught himself a very nice fish. Not far from him in the same vicinity was Great Blue Heron, standing under a tree and watching some Mallards as they were feeding. It’s almost as if the cooler weather brings a bit of a sense of calm. Earlier in the week, I noticed that we’re beginning to get some of our fall foliage. This was taken on a cloudy day, but the white with this particular shade of green gives a very relaxing color combination. Perhaps when this is in full bloom I can get another shot for you. 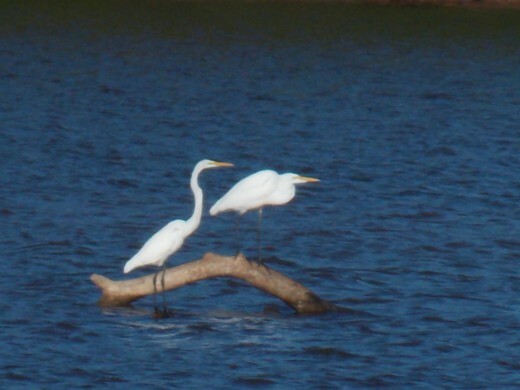 Great Egret has been sharing the lake with a number of kin. They have been soaring over and surveying everything, playing, and being involved in antics with one another. As a matter of fact, I have been coming to the lake recently, just to see what kith and kin are going to be doing. 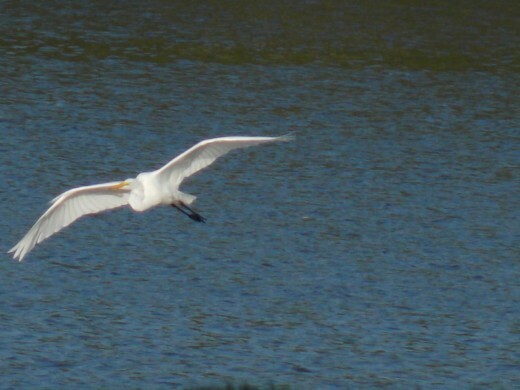 The amazing thing is that nothing is ever the same with the egrets. They have been chasing each other, dodging and darting, catching fish, and enjoying themselves while the weather is so good. I have heard that there is now a group of about three dozen that are sleeping on the lake at night. 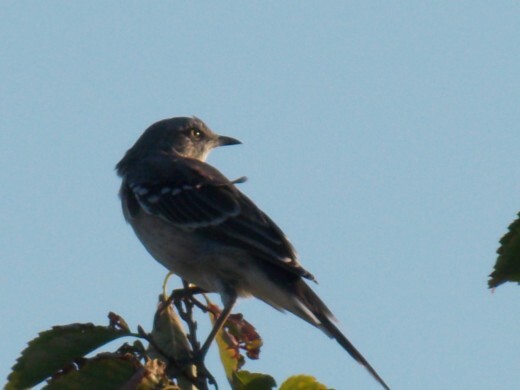 The Northern Mockingbird is still around, but he has been silent. Instead of imitating every sound under the sun, the mockers have been winding down for the season. The only thing that I have heard them imitate recently, are the Blue Jays, but for the most part, they just haven't been vocal at all. I caught this bird yesterday during the early morning, which is why he has that soft glow just basking over him atop the tree that he was on. Also yesterday, while I was making my final rounds, I saw a rustle in a tree where a Mourning Dove was in plain view. Naturally, I wanted to identify this shape which was moving rapidly and stopping in the foliage. I saw this small flash of red on the head, and I thought, could it be? Yes, it sure was, that wonderful little male Downy Woodpecker was there. I had not seen the male before at the park, only the female. Certainly, I was pleasantly surprised, as they are rarely out in an open field like this. 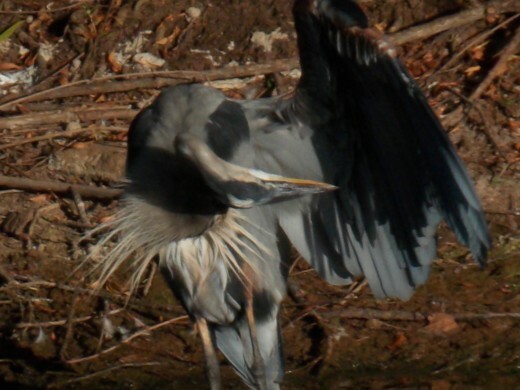 Surprisingly, there are not too many Great Blue Herons around the lake any more. 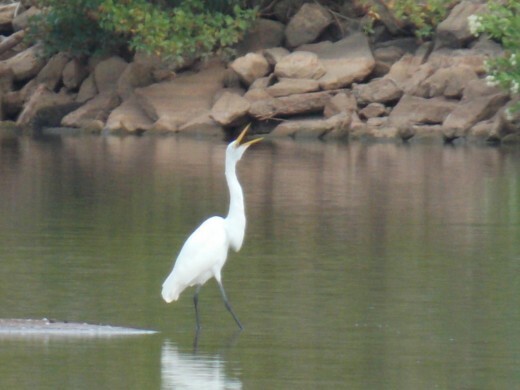 It has been dominated by the Great Egrets, but there never really were Great Blue Herons in numbers. My plan for these weekly columns is to do comparisons to the type of birds seen as well as the number during the following year. 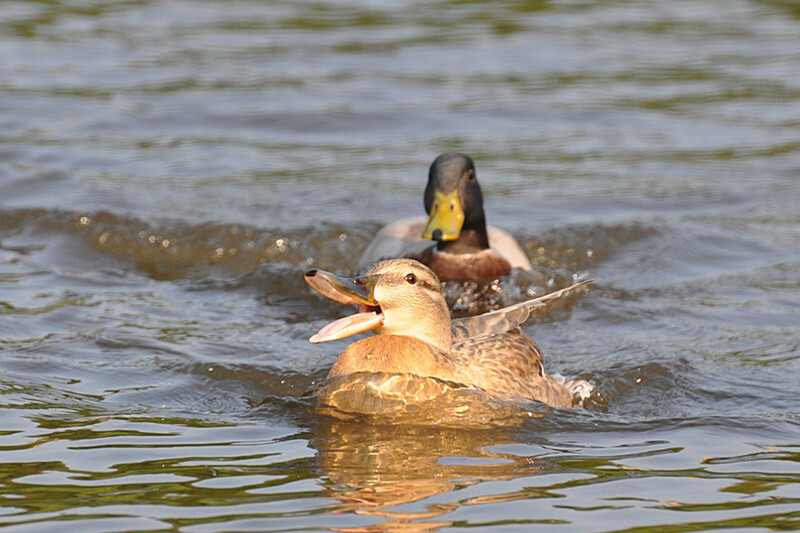 My hopes are to see if this year was a fluke since we had such an early spring, and see if these birds come back around the same time in the following year. Has anyone been keeping track of when their birds arrive for the season? 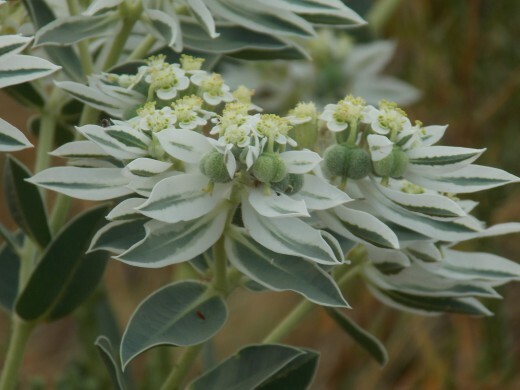 I don't know what it is, precy anza. I thought it was pretty, so I took a pic. There are so many beautiful plants and weeds in our environment. Loved the Downy Woodpecker! 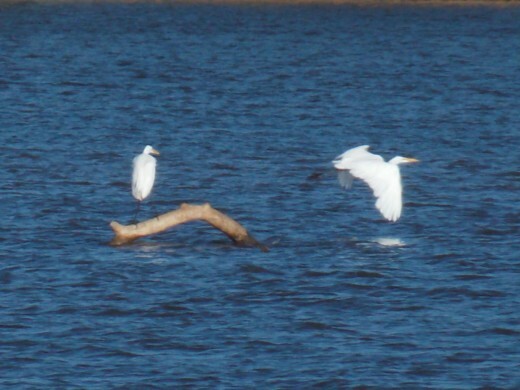 :) Looks like those Egrets are fun to watch. And just wanted to ask what was that plant was? It looks very similar to the plant I've been wondering about last Fall as their leaves turns to white. I just can't stop looking at those while I drove by on that area. That sounds great, Connie. Can't wait to see some sights around your place. Sure, I'll try to help you ID those birds. Hi Deb! Loved the pictures as usual. 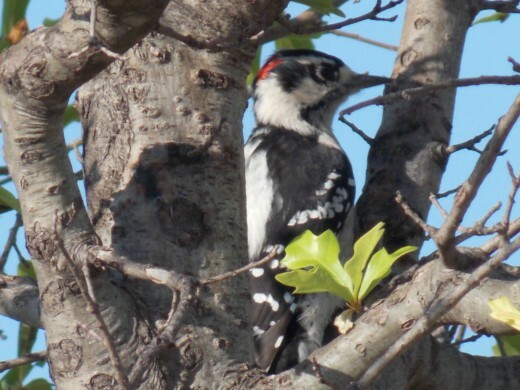 You had a great shot of the male downy. 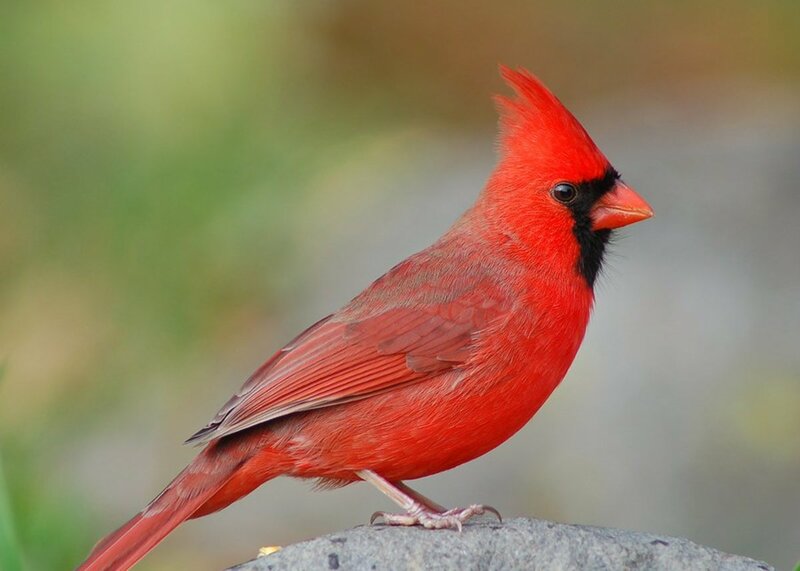 I have had several surprise visitors at my bird feeders that I hope to be able to share with you soon. There is a reservoir about 4 miles from my home. 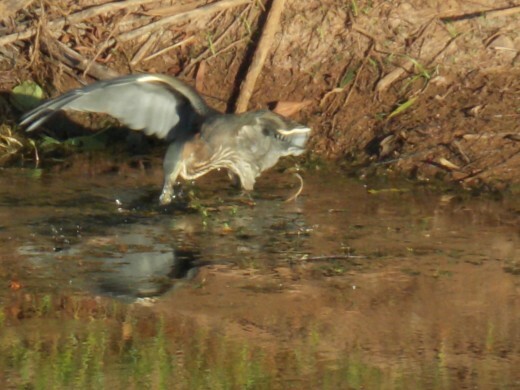 Once it was stocked with fish by the State several years ago, birds started to take notice. 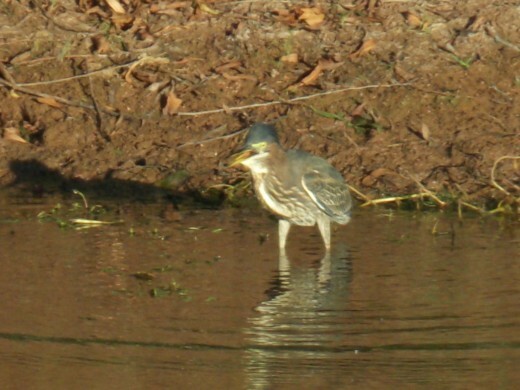 The other day I spotted a heron and some ducks. Unfortunately, I did not have my camera with me. If the weather stays dry for the next couple of days, I hope to make my way to that water and see what I can capture digitally! I know you will be able to identify the birds for me. Thanks, gamby. Yes, I was surprised to see Mr. Downy, which was a welcome sight. Thanks for your support. Another great hub! Love all the pics but especially the one of the Downy Woodpecker! Impressive! 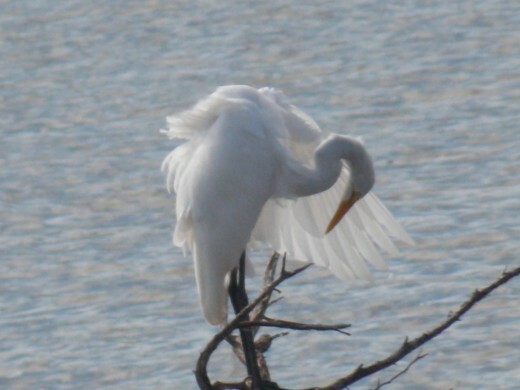 I must go have a look- see at the Egrets some time while their numbers are up. Voted all up! Mhatter, my models seem to work just to visit and raise Cain. Thanks, billybuc, and I sure love doing it. Glad that you find it of interest and are learning new things. Joyce, I hope that you have your camera along. I cannot wait to hear all about it and see the pics, too. I love that poem, whonunuwho. You are most welcome, and the is always more to come. Nettlemere, the Greater Spotted Woodpecker is very similar, but of course, the downy and the hairy Woodpecker here look so much alike, it is difficult to tell them apart, save for their sizes. Speaking of birds, the American Coot showed back up at the lake, having been missing since the end of June. Awesome job, Deb! Because of you I am infinitely more knowledgeable about birds than I was a month ago. Well done once again; I love this series! You always such interesting hub all about birds. When we lived on a mountain we had some very pretty birds now living in the desert hardly any, and I do really miss seeing them. Tomorrow we are leaving on vacation up to Yellowstone Park . I hope I can more birds and animals. Voted up beautiful and interesting, Joyce. The beautiful of feather, we love all together.Thanks for the beauty shared by nature and your photography. It's a really good idea to keep track of when your birds arrive Debs, the data can prove useful to researchers as well. I always intend to keep note of the first and last swallow and swifts seen, but never quite get myself organised to. I also don't frequent the same place often enough and unfortunately they don't live round my house. Wish they did. Really like the Downy woodpecker looks a similar colour combo to our greater Spotted, but I think the colour of the male and female are pretty similar whereas your sound quite different.